Curbside residential mailboxes are U.S.P.S. approved and will add curb appeal to any home. According to Go Mailboxes, residential mailboxes can be purchased for individual installations or can be clustered together with spreaders or larger posts for multi-unit curbside delivery. A wide variety of Wall Mounted Mailboxes, Column Mailboxes and Locking Mailboxes are available in the market. These products are available for individual home owners, residential developments, condominiums, home owners’ associations, businesses and a variety of other applications. Residential mailboxes include the post mounted mailboxes, wall mounted mailboxes, column mailboxes, locking mailboxes and many others. 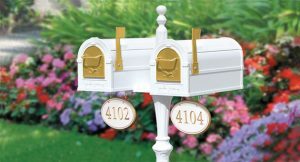 If you are looking in the market for a post mounted mailbox, then several options are available. 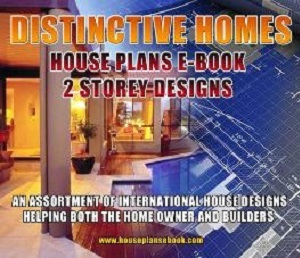 You can either choose a rural, roadside, post style townhouse, cluster box units and newspaper holders. Wall mounted mailboxes include traditional, antique brass, stainless steel, modern, Victorian, surface mounted town house and mail slots. Wall mounted mailboxes enhance the look of your entrance. The sloped lid and large opening allow for easy mail retrieval. On the other hand, the column mailboxes include the locking and non-locking cast aluminum and antique brass. Locking mailboxes aim to provide safe and secure mail storage environment. These types of residential mailboxes are made from corrosion resistant material, aluminum. Therefore, they are quite ideal in extreme weather conditions. You can even install a mail post outside your house. This post can install up to five mailboxes. You can select any one of the residential mailboxes, when you want to replace your residential mailboxes.